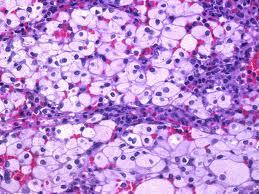 Gaucher’s disease is a medical hereditary condition leading to a fat metabolism product: glucocerebrosides accumulation. The genetic defect that results in Gaucher’s Disease is recessive; an affected individual must inherit 2 defected genes to progress symptoms. 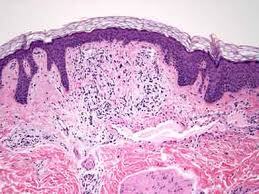 The Gaucher’s Disease leads to a brownish skin pigmentation and enlargement of the spleen or liver. 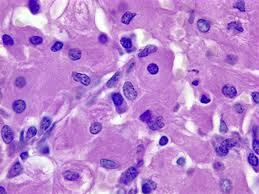 Glucocerebrosides accumulation in eyes results in yellow spots-pingueculae to appear. Accumulations of glucocerebrosides in the bone marrow may result in pain. Most individuals with Gaucher’s Disease progress in adult chronic form type 1, which results in bone abnormalities and enlarged spleen and liver. 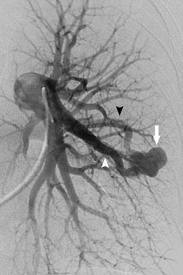 The infantile form-type 2, progresses in infancy; infant with Gaucher’s Disease has severe nervous system abnormality and enlarged spleen. The infant’s back and neck may become rigidly arched because of spasms of the muscle. This infant commonly dies within a year as a result. The juvenile form – type 3, may start during the childhood. Children with Gaucher’s Disease have gradually progressive nervous system defects, bone abnormalities, and enlarged spleen and liver. A child who survives to adolescence can live for many years. In Gaucher’s Disease, bone abnormalities can result in swelling and pain in the joints. 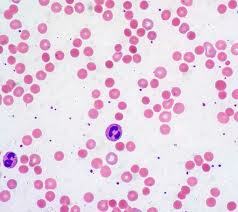 Seriously affected individuals can also progress anemia and inability to produce platelets and white blood cells, causing excessive bleeding, pallor, susceptibility to infection, and weakness. When a physician discovers anemia and enlarged liver and suggests Gaucher’s Disease, he or she usually performs a bone marrow or liver biopsy to confirm the diagnosis. A fetus may be diagnosed before birth by examining cells taken by amniocentesis and chorionic villus. Many individuals who have Gaucher’s Disease, may be treated with an expensive treatment, where enzyme is given intravenously, generally every two weeks (called enzyme replacement therapy). Enzyme replacement therapy is more effective for patients who do not have complications of the nervous system. Blood transfusions can be helpful to relieve anemia. The spleen can be removed surgically to relieve enlarged spleen discomfort, or to treat anemia, low platelet number, or low white blood cell number.